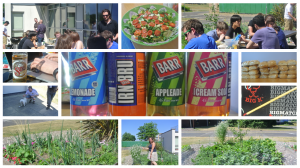 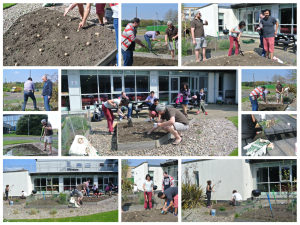 Spring has arrived in the School garden as work begins growing “rabbit tolerant” spuds, carrots and onions as well as salad ingredients and herbs in preparation for our summer BBQs. 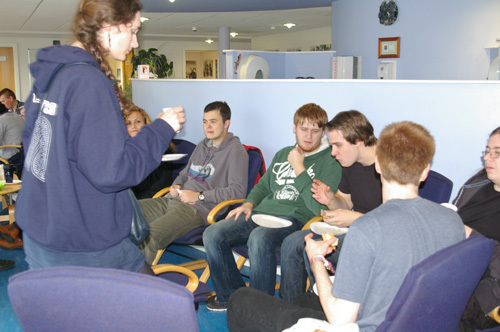 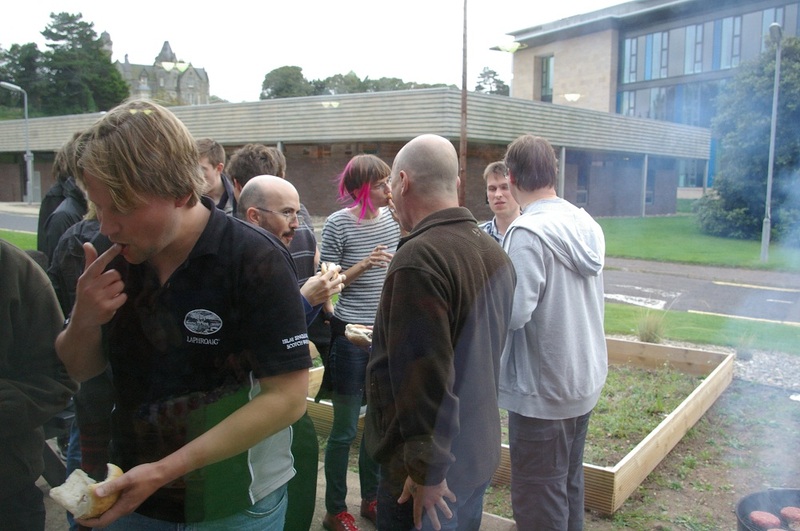 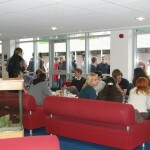 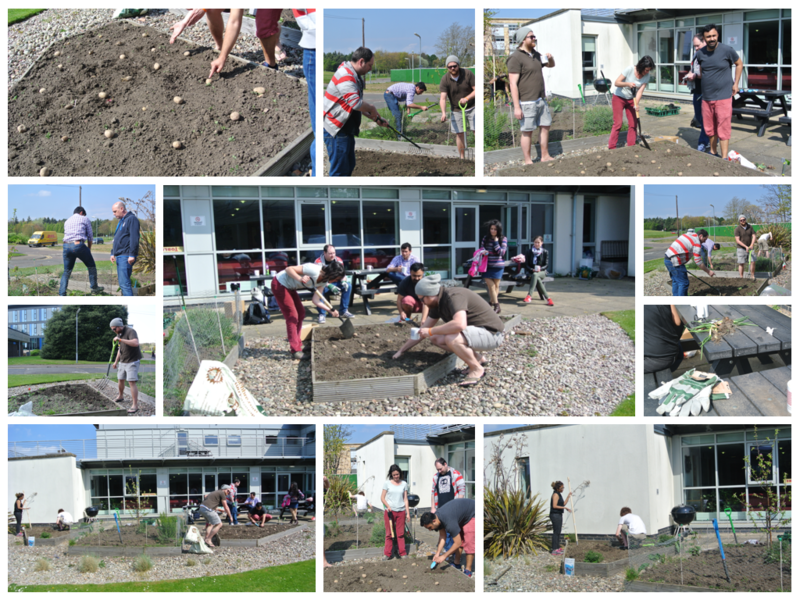 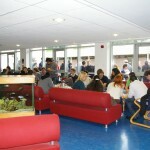 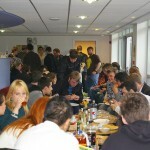 Staff and students are pictured contributing towards Computer Science’s Edible Campus. 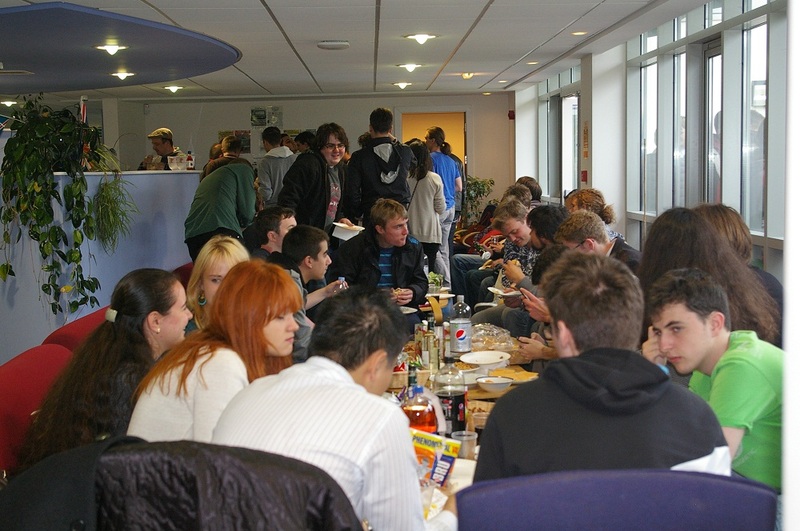 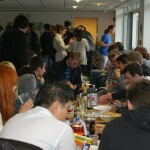 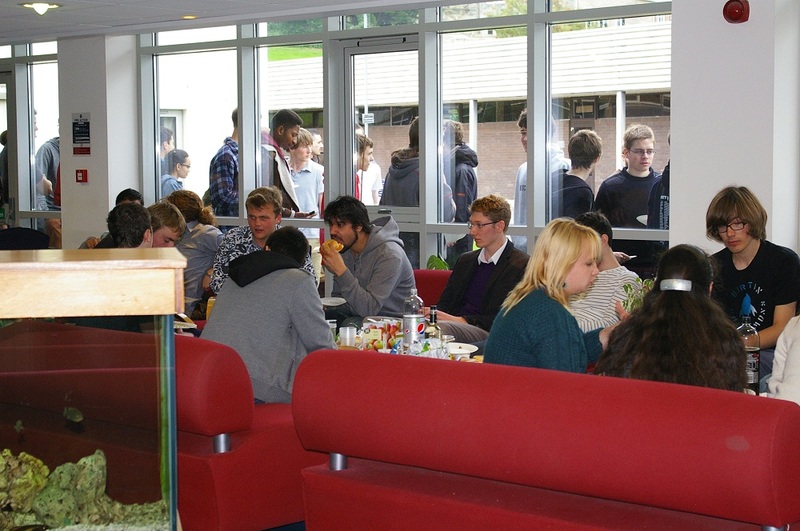 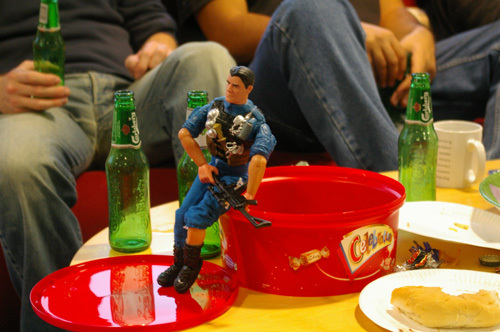 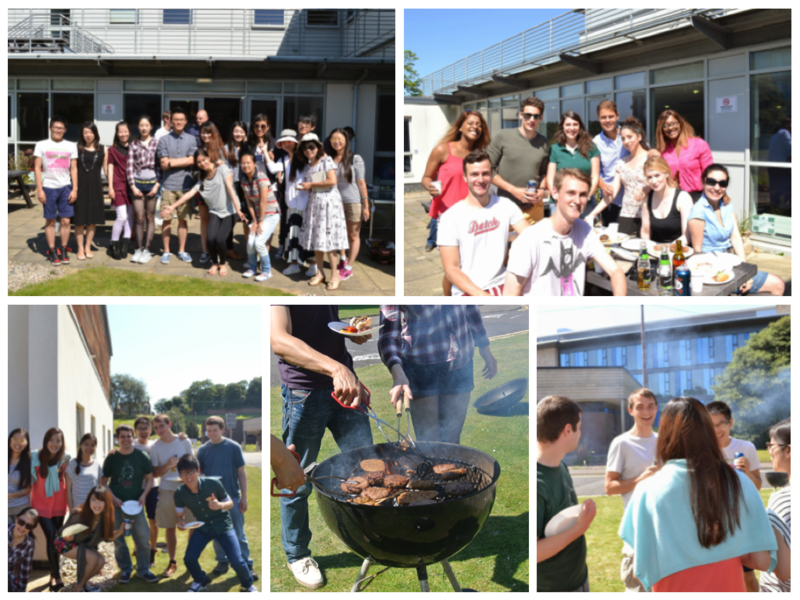 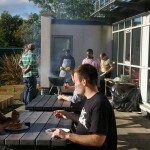 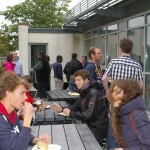 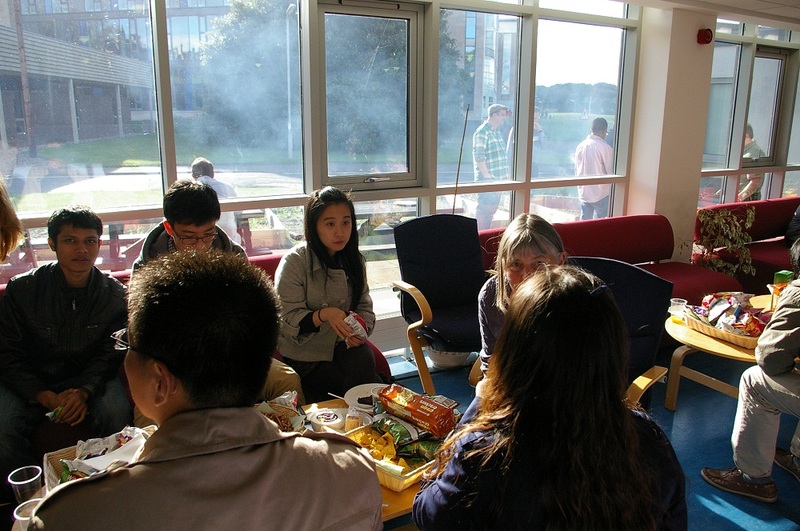 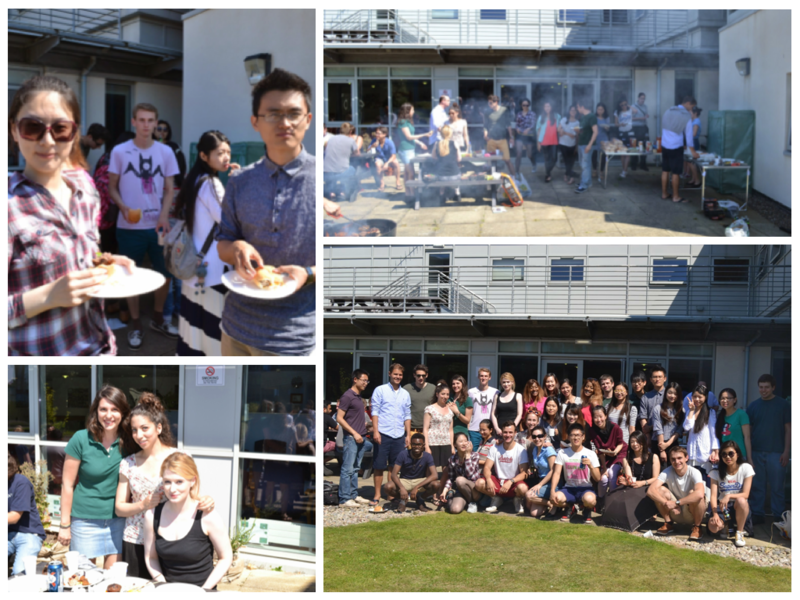 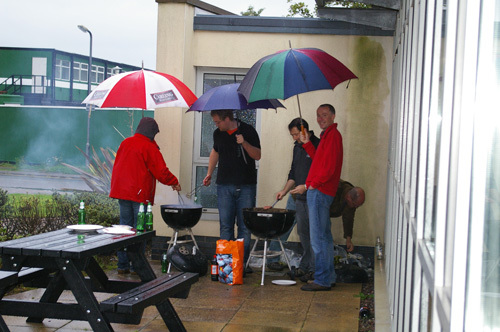 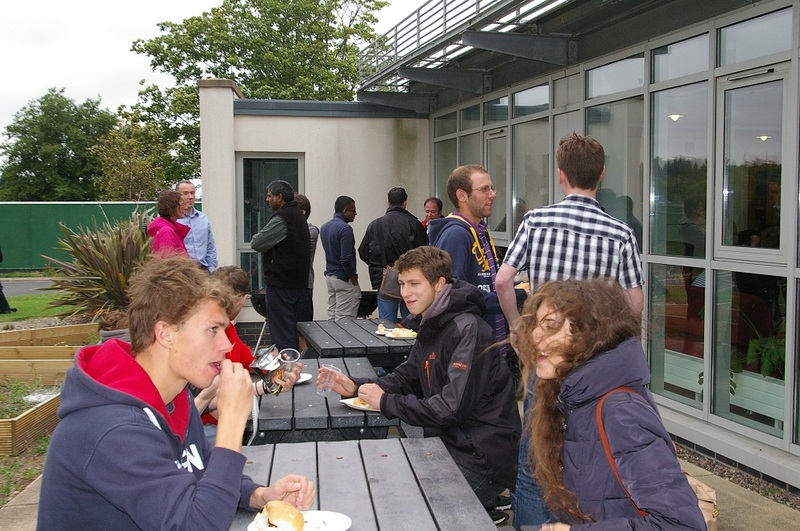 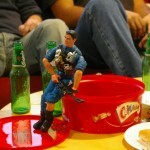 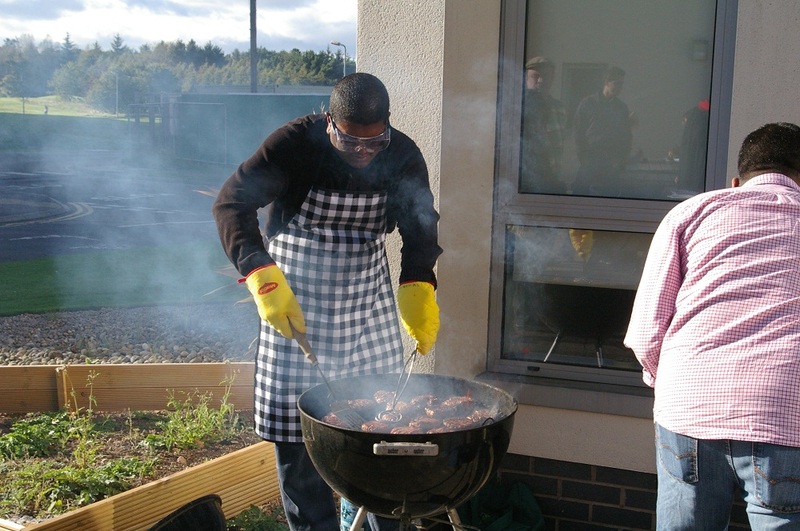 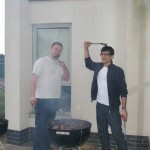 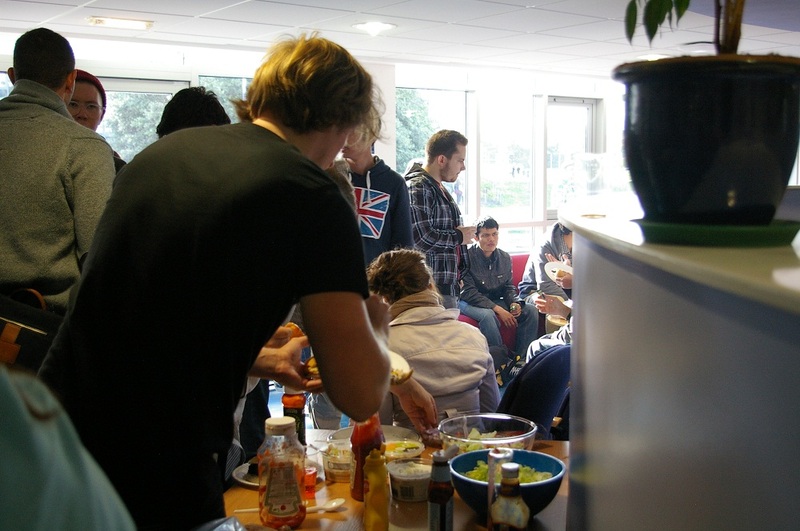 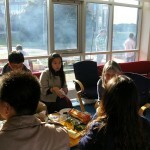 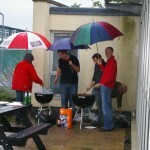 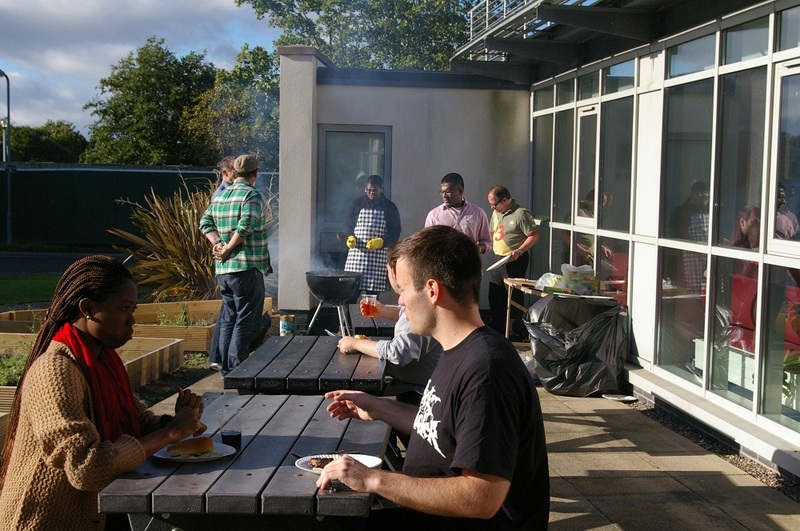 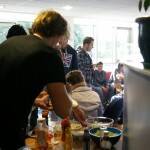 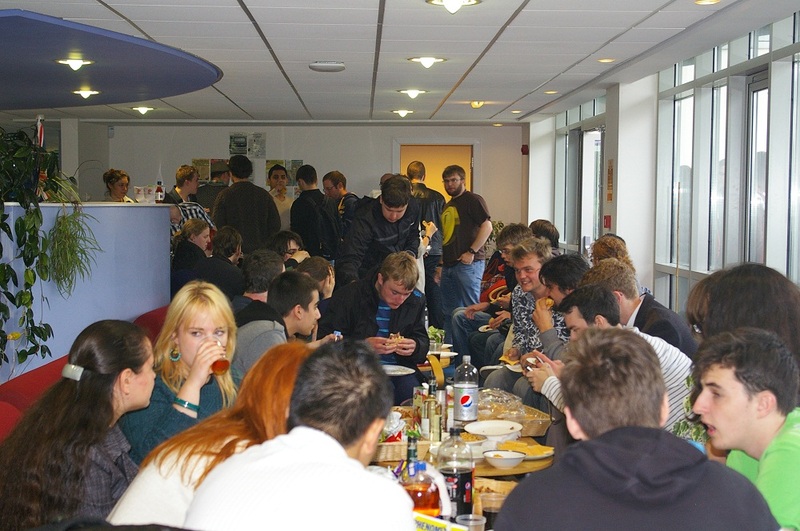 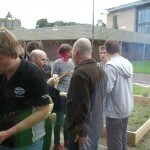 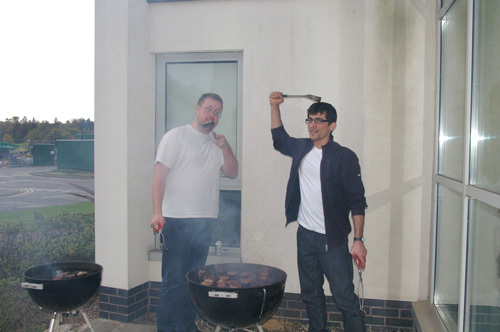 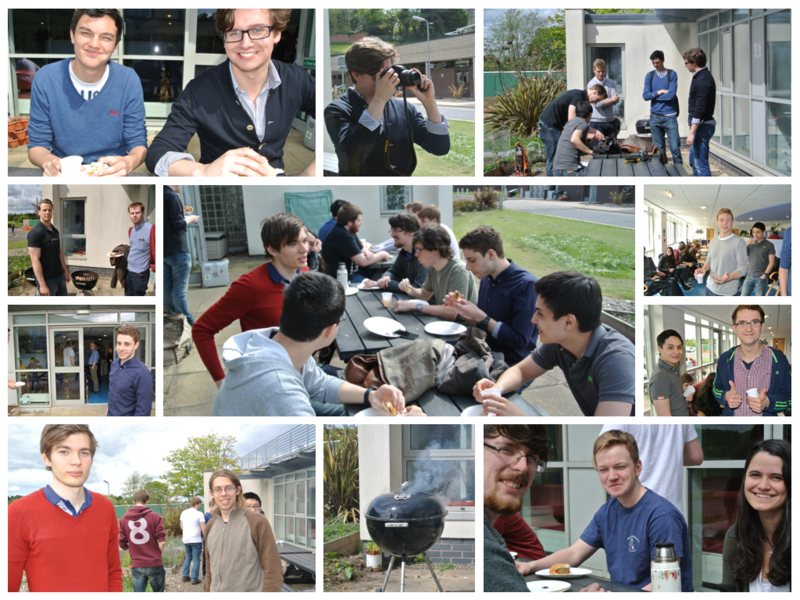 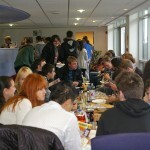 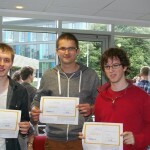 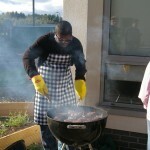 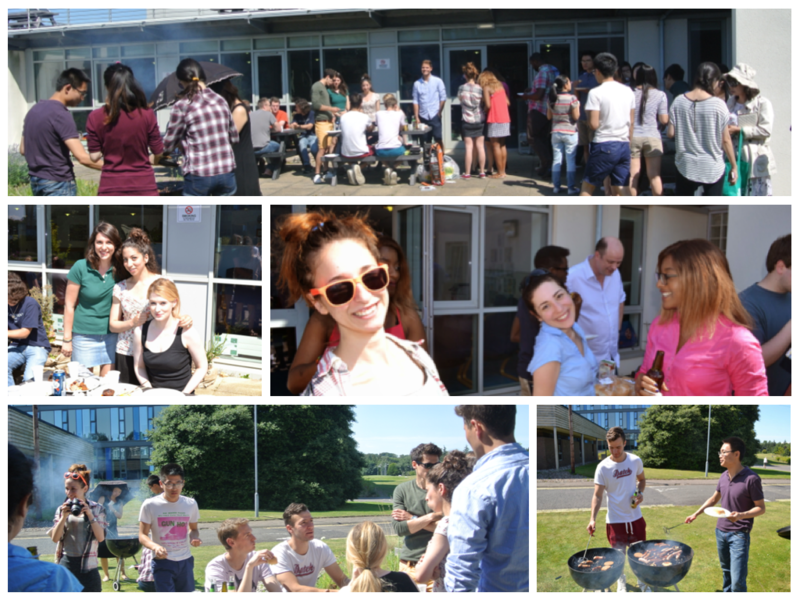 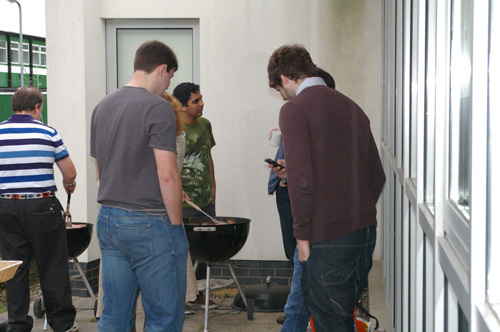 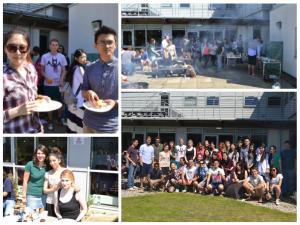 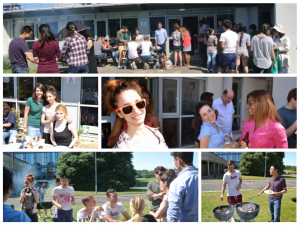 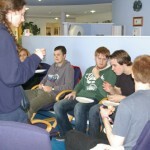 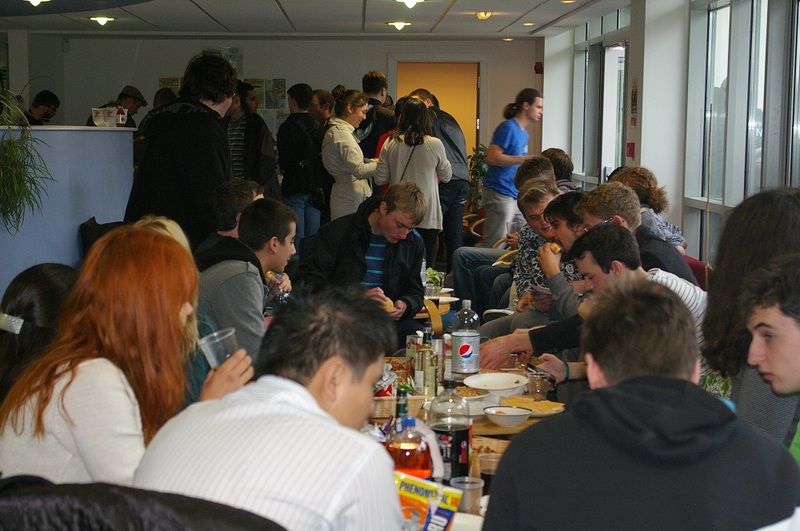 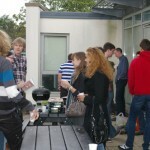 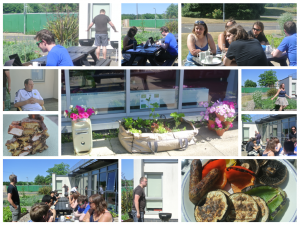 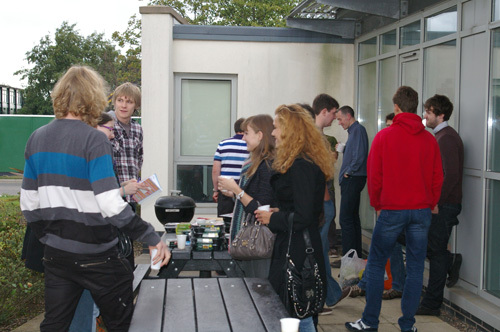 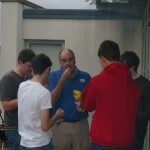 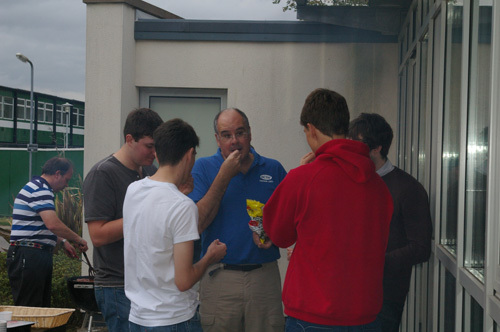 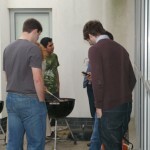 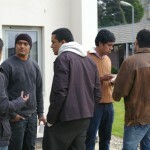 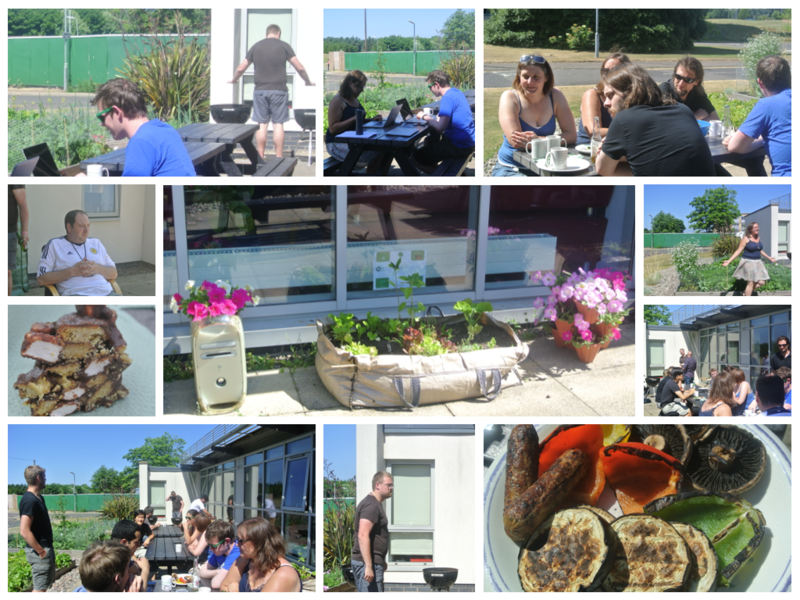 Despite the weather conditions, the end of summer BBQ went ahead, on Friday. 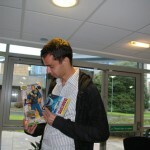 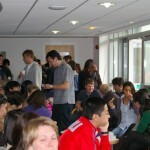 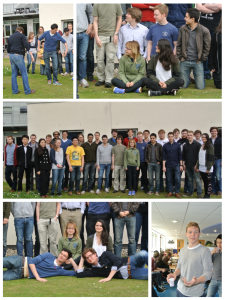 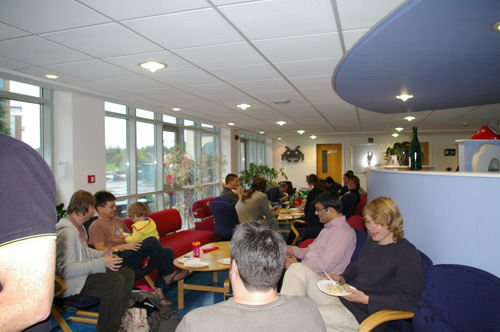 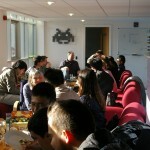 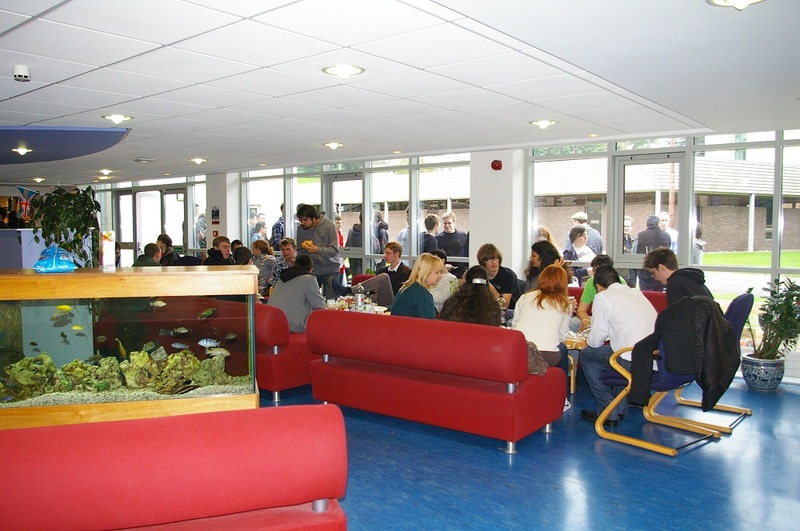 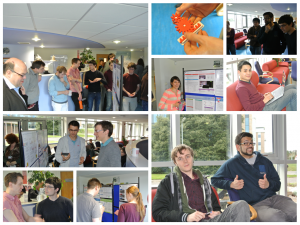 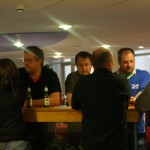 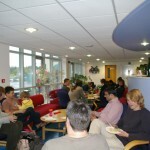 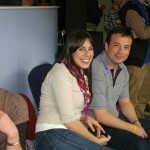 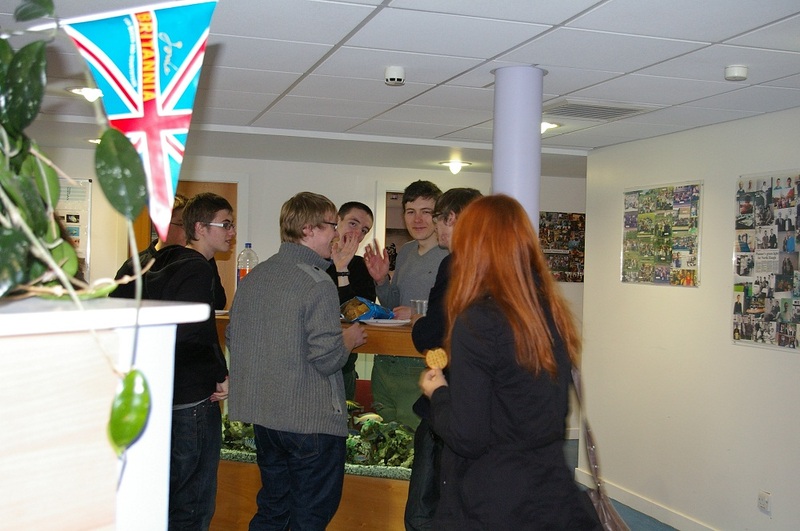 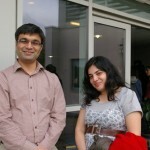 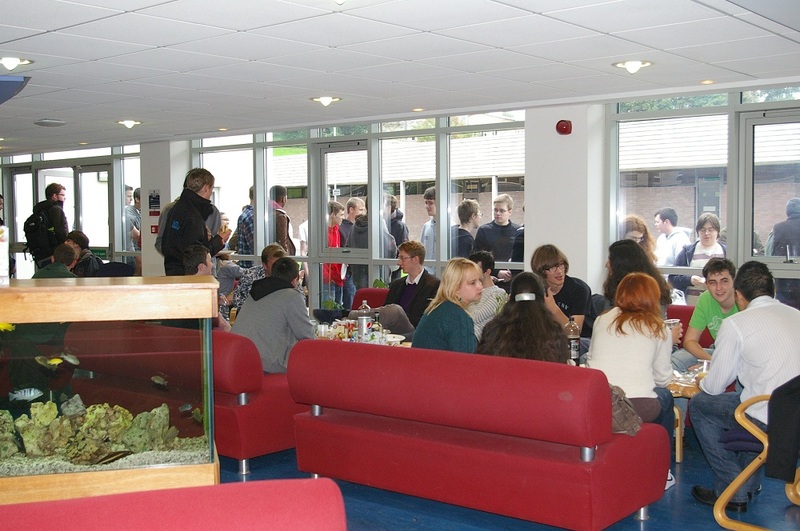 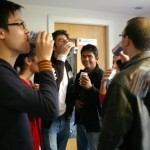 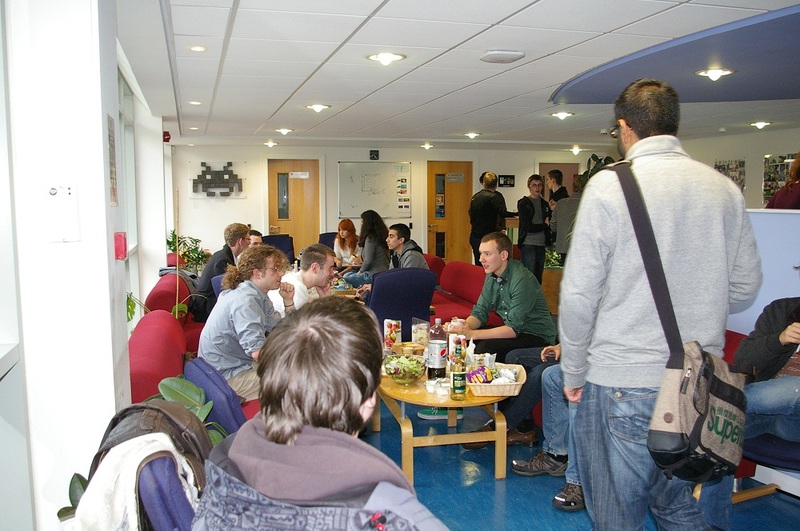 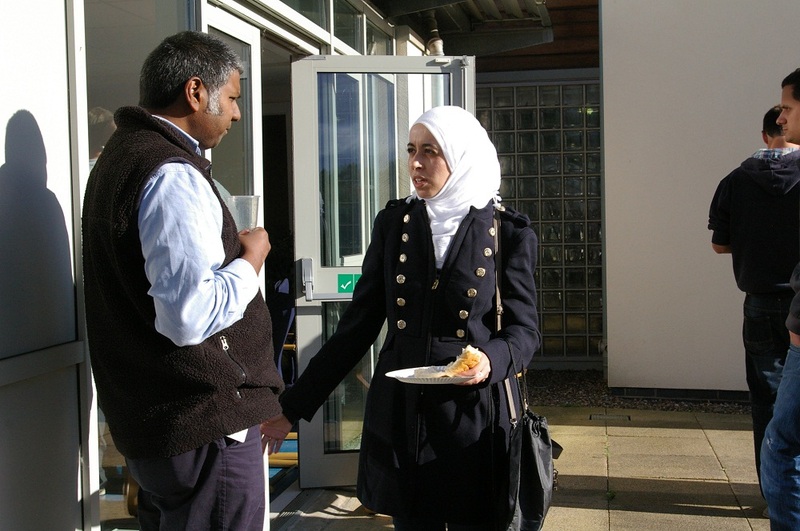 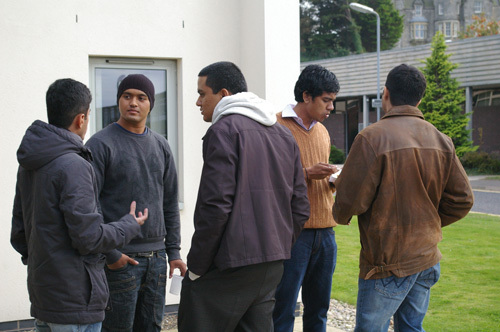 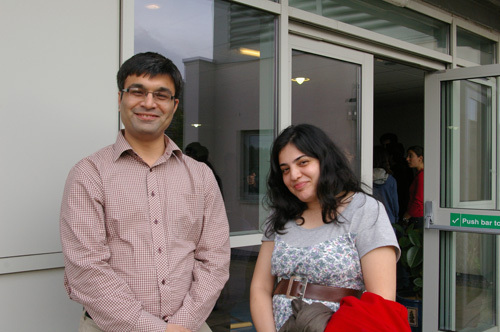 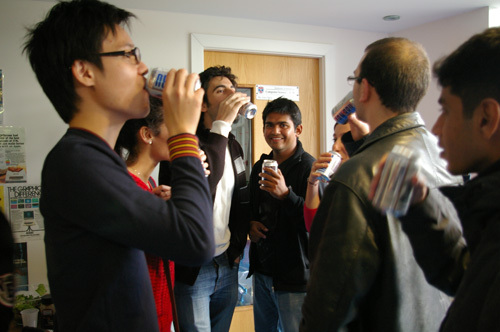 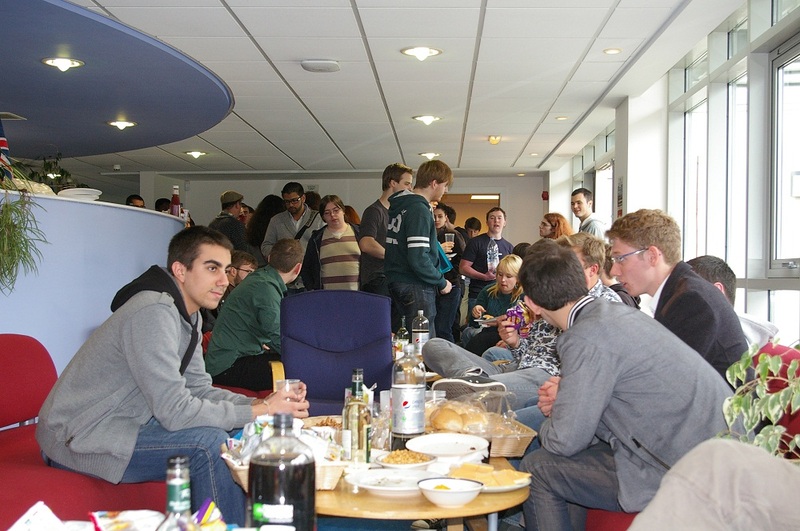 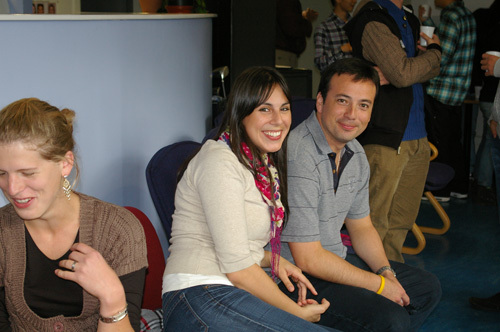 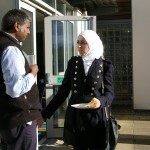 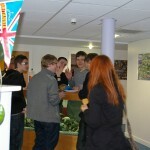 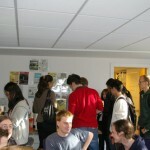 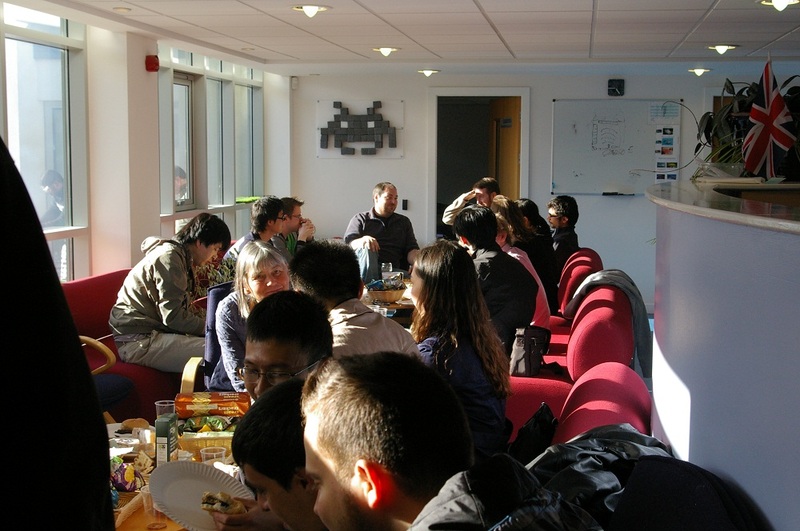 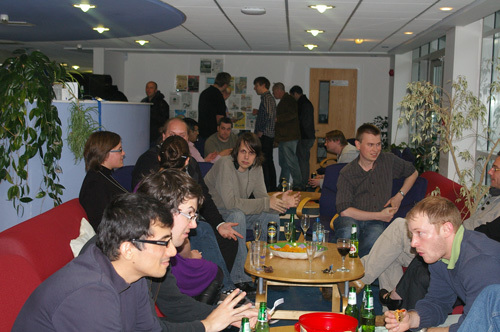 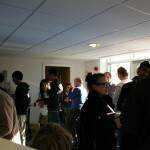 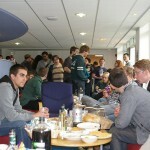 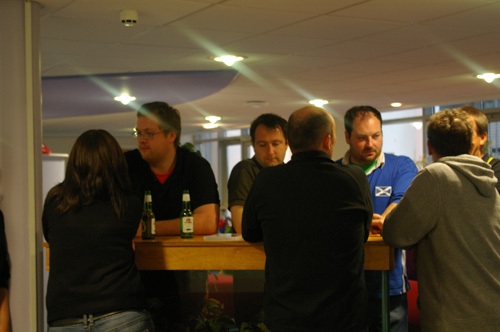 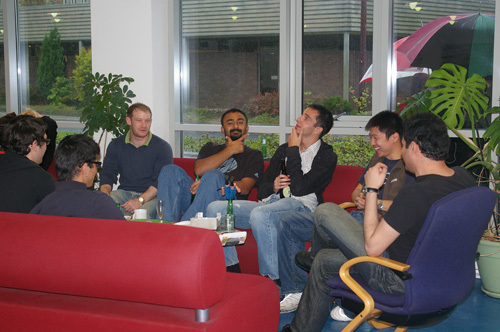 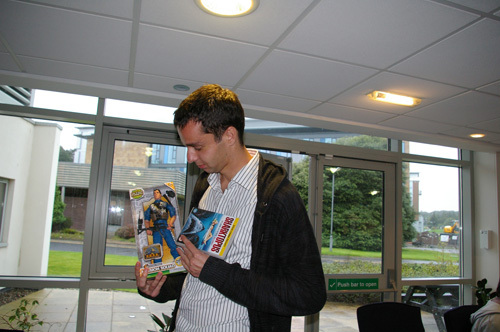 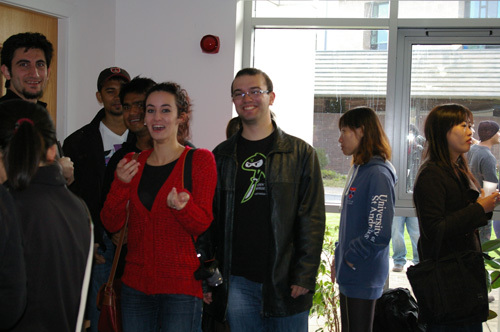 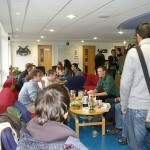 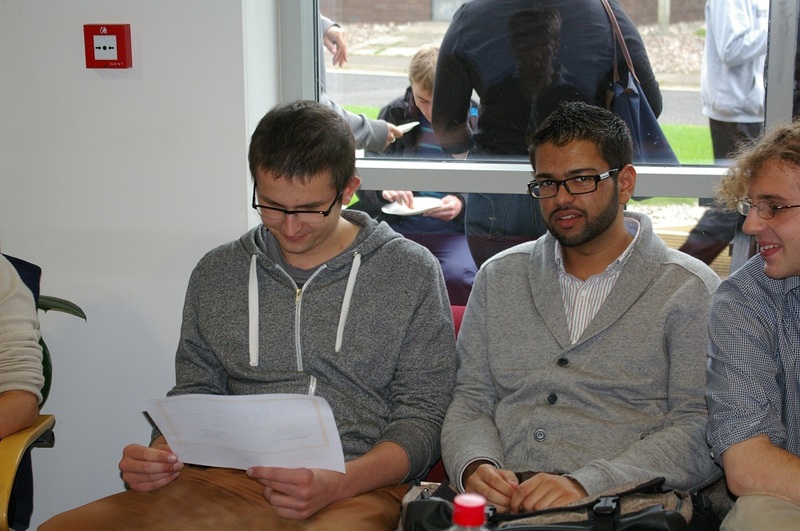 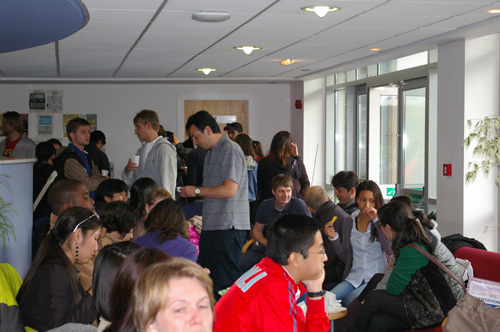 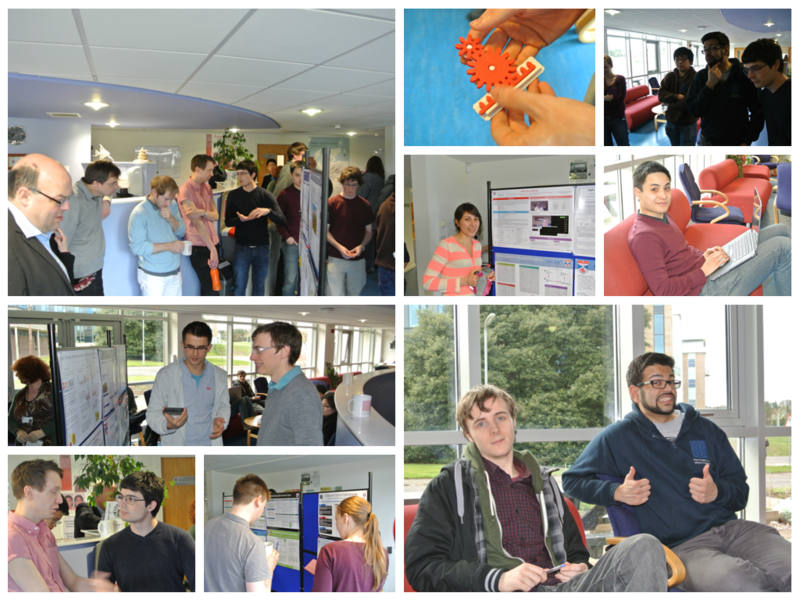 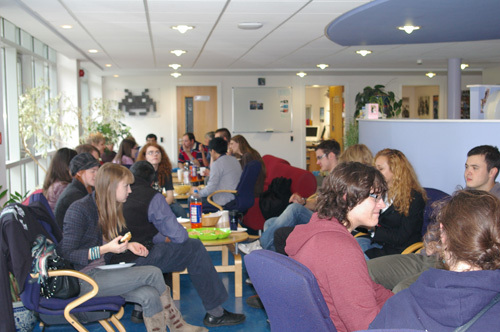 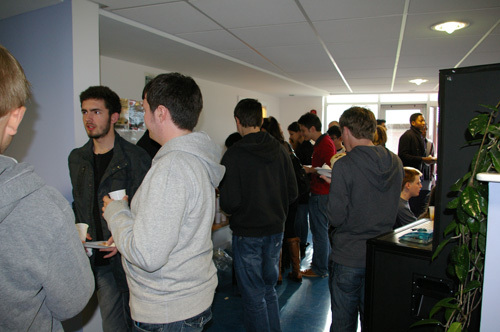 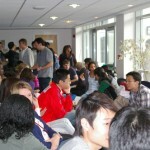 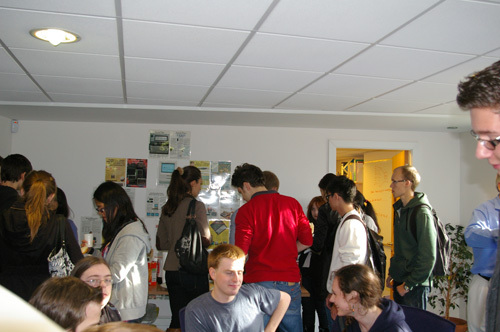 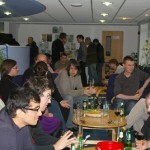 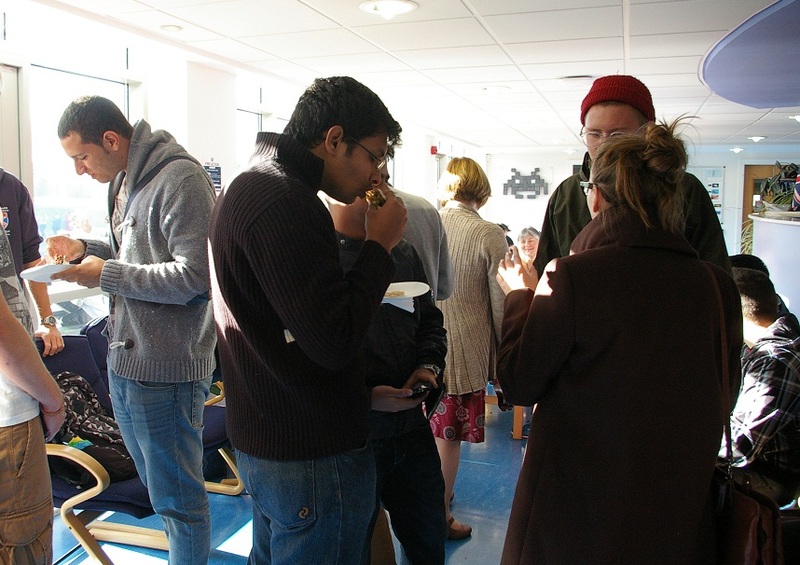 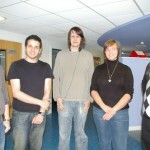 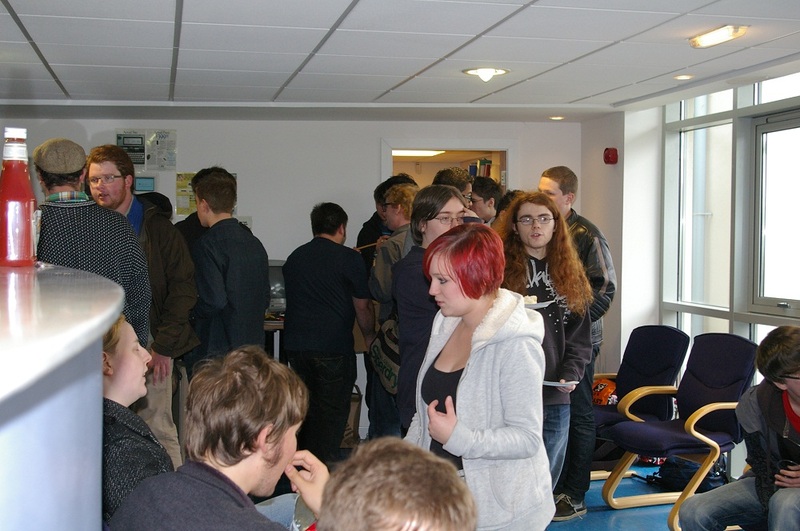 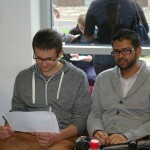 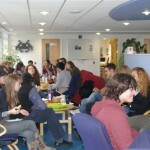 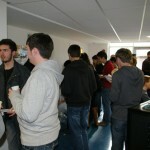 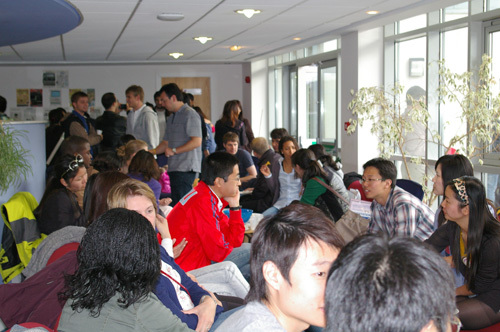 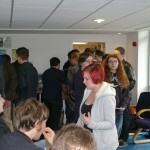 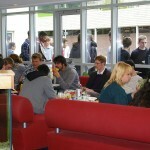 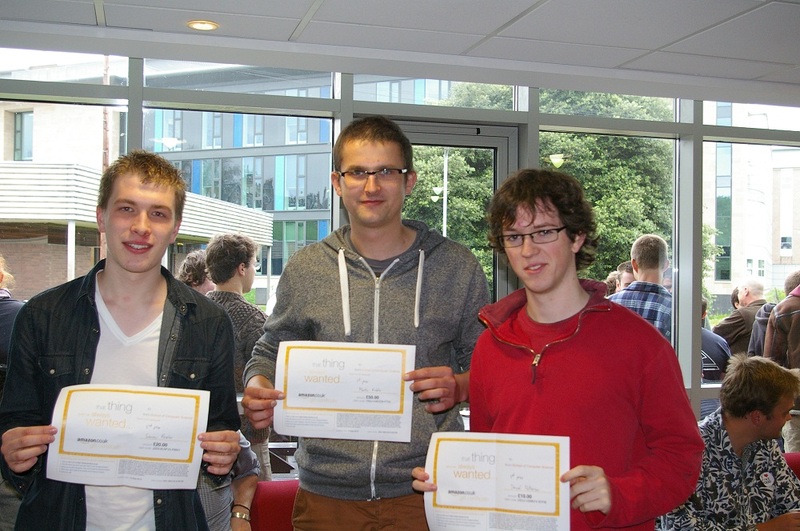 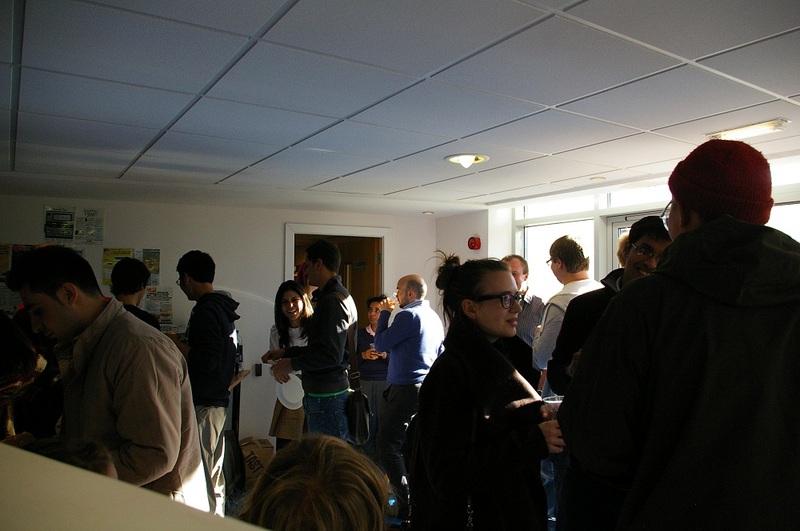 It provided the perfect opportunity to welcome new members of staff and newly arrived PhD students. 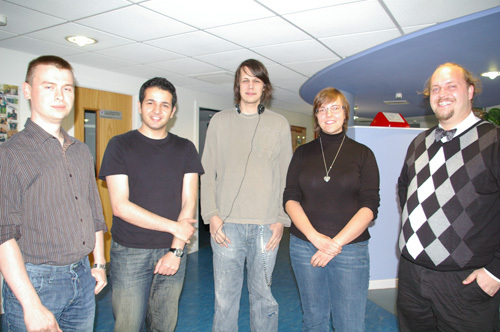 Congratulations also to Greg on submitting his thesis, and farewell to Angus who will be starting work in New York soon.